My name is Wieneke and I work as a Doula, which is a Greek word that has come to express being a companion and support person for a woman during her pregnancy, birth and post birth delivery. Having a baby is an emotional and special experience for a woman, and I have attended many women since I first trained in 2009. Birthing can be a time of extraordinary fulfilment and wonder at the whole process of delivering your little baby. This is often a time of total openness as well as discomfort and joy. After months of being together in your body during pregnancy, there is your little one, on your breast and delivered into your care. A Doula has no medical role, but is aware of all the processes around child birth. I can support you and your partner during this time and assist you in what you wish to do. I am there to be fully connected with you in a discreet way, intuitively responding to your needs and feelings, so you are aware you are not alone. During my adult education, I trained at the Institute for Applied Integral Psychology (ITIP) and gained years of experience in regression work at the SRN Institute for Regression in the Netherlands. For me, these experiences in the 1990s were the most important pillars on which I have developed my best skills in being with people at a turning point in their lives. I am a mother of three, and have five grandsons. I grew up in Indonesia, and after moving to the Netherlands at the age of ten, I moved back to Asia after my marriage, where I had my three children; in HongKong and Manilla. Buddhism inspires and influences me in my daily life, and my exposure to other cultures has enriched my being. 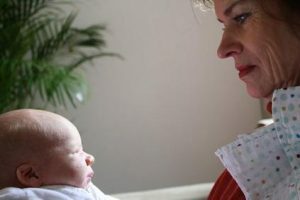 Over recent years, I have been using the same qualities of being a birthing Doula to offer ‘end-of-life’ care and support. I feel that the experiences of both birth and death can bring up similar intense emotions. I am confident in my life experiences and knowledge to be there for you and your loved ones in both circumstances. Therefore, I now like to call myself a ‘full-circle doula’. If you would like to know more … Watch this video (in Dutch – 13 minutes).